I hope you are having a great semester. The FSU has been busy. Here is an update on some important issues. We finally received our retroactive pay in your last paycheck in October. 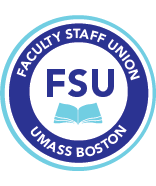 ● Whatever happened to faculty governance? ● How a tax on millionaires in Massachusetts could fund public education and transportation in the state.